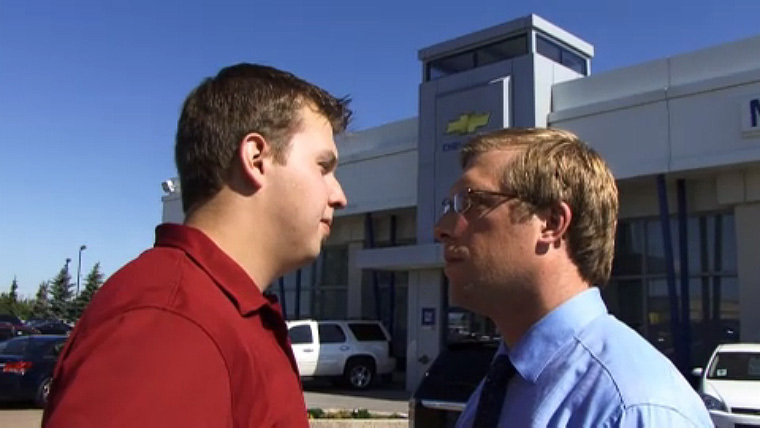 Wheels Review is a new website and viral marketing project hosted by Murray Chevrolet Cadillac in Medicine Hat, that puts two employees in a head-to-head match over which vehicle gets the best bang for your buck. This month features Dan and Justin who each pick a new vehicle, go through the points on why their vehicle is better than the other, and leave it to the viewers to vote on their favourite. Along with voting, you can Like Wheels Review on Facebook to be automatically entered to win prizes. The first prize up is a vehicle detailing kit which includes a full outside wash, interior rug and seat shampooing, wipe down of the vehicle interior and inside/outside window cleaning, which is valued at $180. All you have to do is Like them on Facebook, Vote, and you are entered to win! Review of J. D. Auto Electronics Ltd. This entry was posted on Tuesday, July 19th, 2011 at 9:54 AM and is filed under Websites. You can follow any responses to this entry through the RSS 2.0 feed. You can leave a response, or trackback from your own site.